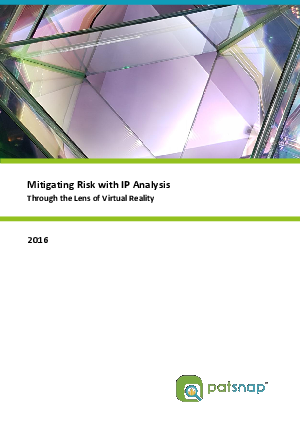 As a technology that has been a long time in the making, this free paper explores ways in which IP analysis can be used to segment the market opportunity and mitigate risk when evaluating the future of the industry. Find out how virtual reality is being applied in different industry sectors. Explore how IP reveals the best ways to use trend data to mitigate risk when deciding which projects to prioritise. Discover various methodologies, including patent landscaping, to evaluate the level of risk associated with different market approaches. Riding the second wave of innovation in Virtual Reality.